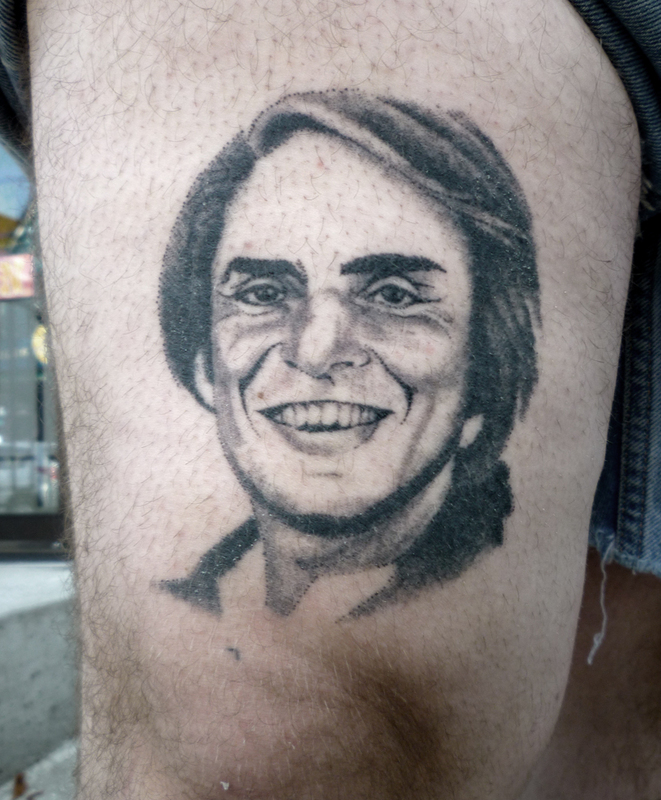 Who loves Carl Sagan? I sure do (but this isn’t my leg). If you don’t know who he is, I recommend watching his classic series about planets, stars, and physics called ‘Cosmos’. He’s like the David Attenborough of space. That is so awesome…a very positive and inspiring tattoo.